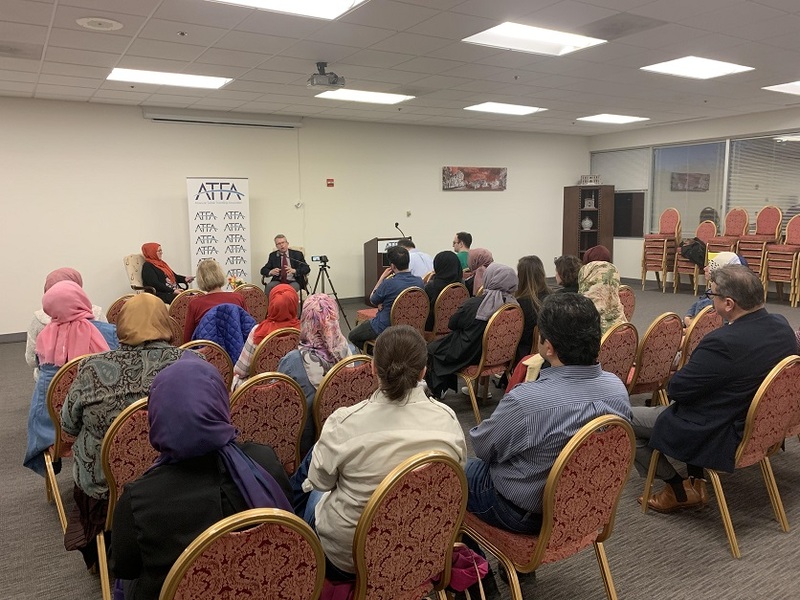 On April 4, 2019, Rumi Forum and ATFA hosted Henry Brinton to talk about his new book “City of Peace”. The talk was on Rev. Henry Brinton’s mystery novel “City of Peace,” hosted by Rumi Forum, American Turkish Friendship Association, and Ezher Mosque. The book features Christians and Muslims in the town of Occoquan, Virginia, and is a gripping and fast-paced mystery that will engage people politically and spiritually, leaving them with fresh insight into how they can overcome polarizing divisions among people of different cultures and faiths. Henry G. Brinton is an author and a Presbyterian pastor who has written on religion and culture for The New York Times, The Washington Post, USA Today, and Huffington Post. His interfaith work and appreciation for the wisdom of the ancient world began on an archaeological dig in the Galilee region of Israel, while he was a college student. In his writing and ministry, Henry is committed to building bridges between people of diverse cultures, religions, and political positions.